About a month ago a good friend called me and informed me that my blogs were depressing him and that he needed to stop reading them for a while. I was bit taken back because despite a frequent focus on the injustices in so many facets of our public life, on a day to day basis I’m a pretty hopeful guy. His comment got me reflecting on what gives me hope in the midst of the corporate greed, institutional racism, government gridlock and general erosion of basic human rights in our country I so often focus on. Upon reflection I would say that my hope comes from three main sources. The first source of hope is the students I am privileged to teach in the Eastern University Urban Studies program. When each new group of students begins our program I tell them that they are special slice of humanity because they have forgone the lures of consumerism and materialism and, for reasons that vary from individual to individual, have decided to dedicate their lives to work in solidarity with the poor, the marginalized, the forgotten and the oppressed. These students are not only extremely committed and intelligent, but they bring a clear belief that they can make a difference in the world. After taking classes in urban problems, racism, broken communities, research, leadership, and the like, their idealism gets tempered with a gritty awareness of how to address the challenges before them, and they go on to work in organizations and with community groups do the work of justice at the grassroots level. Being able to invest myself in these young folks (most are in their mid to late 20’s) and seeing what they are doing gives me tremendous hope for the future. The battle for justice is long but there are people committed to that process for decades to come. My second source of hope lies in the many small movements for social justice that are happening and continue to happen: fast food workers advocating for a raise in the minimum wage; undocumented folks and their allies pushing for immigration reform; moms and student resisting the NRA and gun lobby to work for changes in laws around the use and purchase of firearms; and people from across Pennsylvania working together to make a fair funding formula for public education a top political priority in the state – just to name a few recent ones. As I read the blogs and newsletters of progressive organizations, I am reminded that the Montgomery (AL) Bus Boycott in 1955 that brought the Civil Rights Movement into national media attention was preceded by decades of effort by small groups of committed individuals working to bring about change in the segregated South. Rosa Parks was not the first person to refuse to give up her seat on a segregated public bus, Martin Luther King, Jr. was not the first preacher to give voice to black people’s concerns, and Montgomery was not the only Southern city to have faced a challenge from its citizens of color. These things had been going on in communities big and small for a long time; what Montgomery did was light a spark that brought the energy together to forge a movement. I see the seemingly small and disconnected efforts that have been going on for the past several years as moving us toward a time when a larger movement will emerge to challenge the corporate power structure and the government leaders who have sold their soul to lobbyists and the big donors instead of listening to their constituents. A new civil rights movement is coming. I don’t know when, how, where or what it will look like, but I can feel the movement coming; like clouds before storm, like tremors before an earthquake. 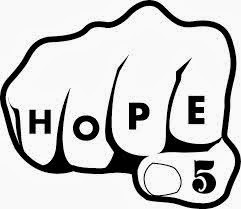 My third source of hope comes from the promise of the Bible that God is truly on the side of the oppressed. During this Advent season I have been struck by how often the promise of the coming Messiah is couched in the language of justice. Isaiah 40 speaks of the Messiah being one who “gives strength to the weary and power to the weak” (vs. 29). Isaiah 11 says that this Messiah “with righteousness judge the needy, with justice give[s] decisions for the poor of the earth” (vs. 4). Mary in her beautiful song upon learning that she is given birth sings that God “has brought down the rulers from their thrones, but has lifted up the humble. God has filled the hungry with good things and sent the rich away empty” (Luke 1. 52-53). Paulo Freire, who is my inspiration for many things having to do with justice, said that God gives us the vision of what the world can and should be and then commissions us to go out and make it reality thru what he calls denunciation and annunciation. According to Freire, our job in essence is to denounce things in our current reality that block or undermine that just society from coming into being and work to dismantle them. Then our job is to announce the new reality, the just society God desires to see, and work toward it. I don’t think that God is somehow going to wave his hand and all injustice will go away, nor am I waiting for things to get better only in the afterlife. Rather I believe God gives us a picture of what life can and should be, and empowers us to make it happen. 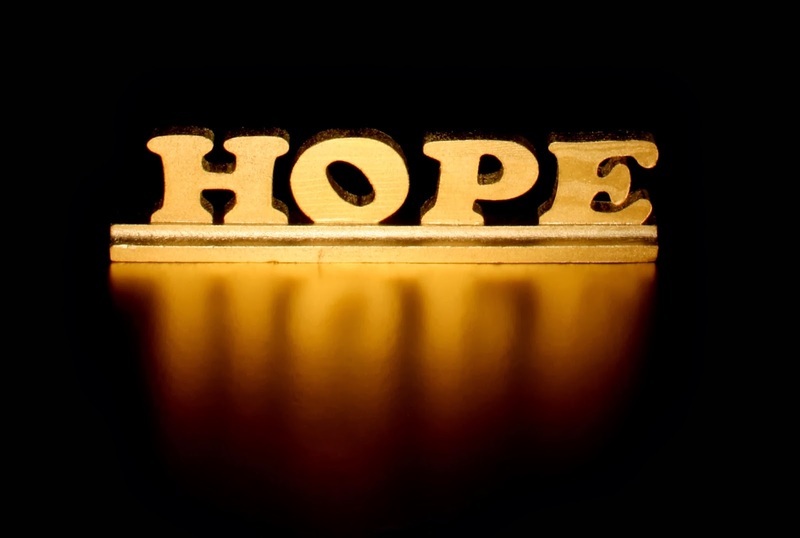 This hope is not based in a quick fix or magic transformation. 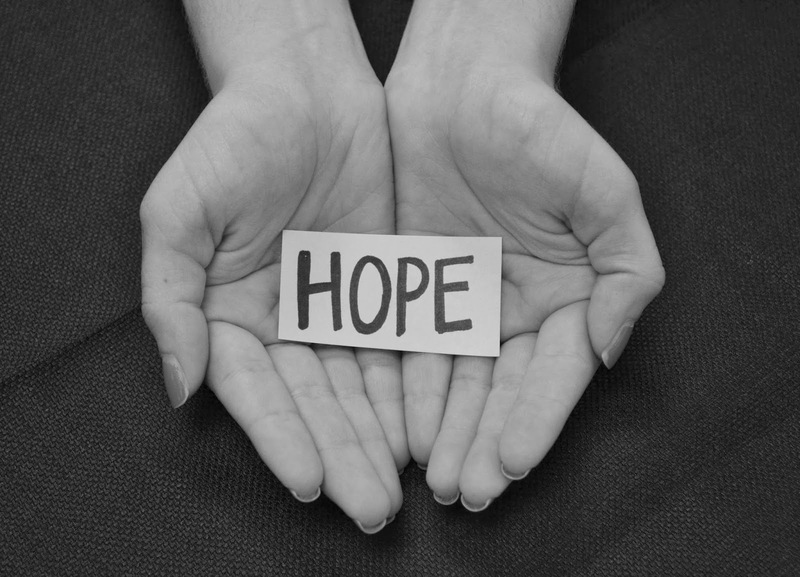 Hope calls me and others like me to a life of struggle, disappointment, frustration and occasional celebrations for small victories. As the apostle Paul points out in Romans 5.1-5, hope is borne out of suffering, but that the hope connects us with an infilling of God’s spirit, the spirit of history, to continue the struggle. In non-theological terms it comes down to knowing one is on the right side of history, working for that which is good, just and true, and moving into the future with a conviction shared with other like-minded individuals. This hope recognizes that the power structures are deeply entrenched and will not easily be toppled or transformed, but it also recognizes the continued concentration of wealth and power in the hands of a few is not sustainable for the planet or the country. If nothing else the structure will topple under the weight of its own hubris or more likely it will be torn down like the Berlin Wall, but in any case it will fall. I was too young to fully appreciate the Civil Rights Movement of the 1950’s and 1960’s in the moment. However in my study of that movement I know that from it issued forth other movements for peace in Vietnam, women’s rights, and environmental awareness. Could something similar be about to happen now? The increased racial/cultural diversity of our nation, the pressure of global warming, the arrogant intransigence of the one-percenters and the growing unrest within the general population are setting the stage for something to happen. That is why I keep writing and working and teaching and living into that newer, more just and inclusive world; therein lies my hope.